Evelyn came to my attention through her sister, Leslie. 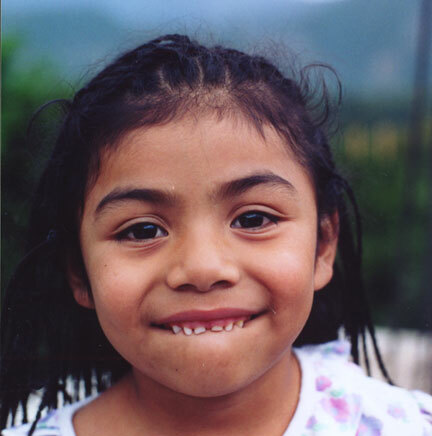 Leslie and Evelyn are Guatemalan Indians of Mayan descent living in Aguas Calientes, Guatemala. Leslie was on the street five years ago with no hope of ever obtaining an education, but today is enrolled in a private school working on finishing her high school diploma. Evelyn is in her second year of primary school. I saw her a few weeks after she finished her first grade class work. With her mother and Leslie, I spent three hours listening and being shown all she had learned in her first ever year of school. Evelyn's future will now be very different from what it might have been.